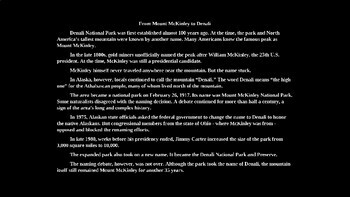 PowerPoint presentation on Alaska's famous Denali National Park. 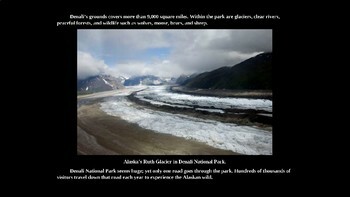 Alaska is home to more national parks than any other state. 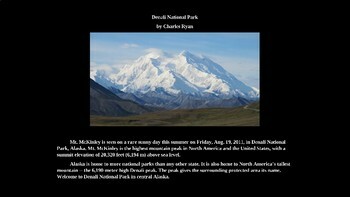 It is also home to North America’s tallest mountain -- the 20,000 feet high Denali peak. The peak gives the surrounding protected area its name. 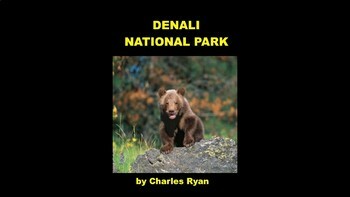 Welcome to Denali National Park in central Alaska.